February 1, 2018 at 10:25a.m. LORDSTOWN — The Chevrolet Cruze compact car had 9,425 sales in January, down from 17,278 sales in January 2017, GM said today. 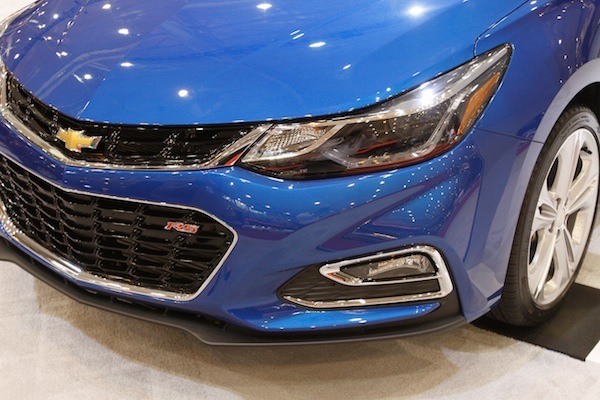 The Cruze compact car is built at the GM Lordstown Assembly Complex. A hatchback version of the Cruze built in Mexico had 1,433 sales in January 2018, down from 2,671 sales in January 2017. GM, which ended 2017 as the automaker with the fastest-growing crossover sales in the U.S., reported a 20 percent year-over-year gain in the segment in January, along with a 7 percent increase in truck deliveries. GM total sales in January totaled 198,548 units, up more than 1 percent. February 2, 2018 12:10 a.m.
February 1, 2017 9:48 a.m.
March 1, 2017 10:12 a.m.
December 1, 2017 10:39 a.m.
February 2, 2016 9:56 a.m.